One of my top 3 most inspiring books of all time is: Natural Capitalism, by Paul Hawken. This book played a huge role in the development of the Designed For Life philosophy, as well as in shaping my own life and behaviors. It is the subject if my most recent CEO blog post for #TextbookTuesday, where I discuss the content of whatever I’m reading at the time. 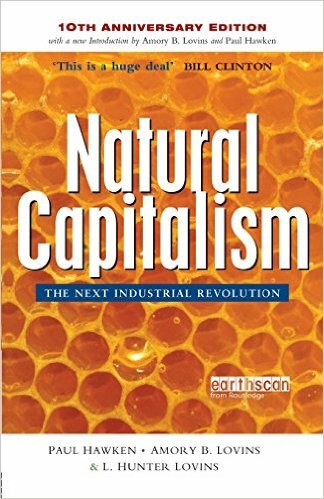 Natural Capitalism is the kind of book that leaves the reader forever changed. This book is not just a bleeding-heart pleading with society to live better. 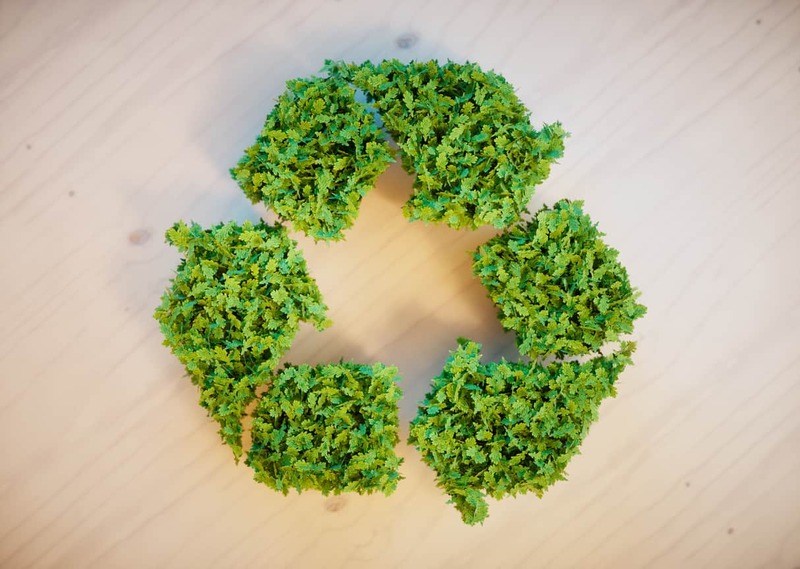 It is both a rigorous empirical study of all things “sustainable” (or rather unsustainable), as well as a valid business book–celebrating an approach to thinking about natural resources in an entirely new way. Mankind has been taking the earth’s natural capital unabated for centuries. Somewhere along the way, finance and accounting constructs were formed allowing business people from all over the globe to speak the same language. That language is flawed. One might argue that the language of business–finance and accounting–is the most global language, not bound by borders or geography. This is a fortunate phenomenon considering the rampant pace of globalization today. But as robust, refined, and universal financial language has become, it has at least one gross oversight: Even as businesses (all businesses) track every debit and credit, moving capital and other assets on and off their balance sheets with rigor and precision providing an accounting for all they do–they use up natural capital without any reckoning at all. Oil companies track every watt of energy and minute of labor that goes into extracting and refining their products, yet the actual product they sell materializes onto their balance sheet as inventory out of thin air. It is arguable that this, one of the most profitable industries on earth would be one of the least profitable if they had to provide a full accounting. One that considered all of the hard “costs” to the finite capital supplies of this globe, as well as the side-effect costs of the pollution, and greenhouse effects, and every other aspect of how the lifestyle their industry subsidizes takes a measurable toll on the earth and all of its inhabitants. Maybe, if this full accounting were done–better, if the mechanism for this type of accounting had not been overlooked when accounting and finance principles were documented, practiced, and refined, we would discover that many of these most profitable, and harmful industries would actually be unemotionally judged by the invisible hand of a properly reported-to market as being wholly unprofitable–not worthy of investment. This vacuum for energy and production would drive the immutable innovation that exists within mankind’s collective capability. Instead, as Foroohar so aptly explains in her epic and timely work, Makers and Takers: These same companies amass so much wealth that they are ultimately able to make as much or more money making financial investments themselves than innovating even within their fundamentally flawed core business. This impossible to resist financial activity further inflates the business of finance, producing digital value–paper money–that does little to provide any value or utility to most of the population, but ridiculous wealth for a few. All that as a reward for building and promulgating a flawed system to begin with. Wow. All we had to do is get our accounting right from the beginning. What a different world it would be. Like so many things in business, life, and systems: GIGO. Garbage In, Garbage Out. A problem early, or high up within a system is absolutely damning…and nearly impossible to unravel once scaled. We are at scale, and scaling more each day. The system needs a reset.